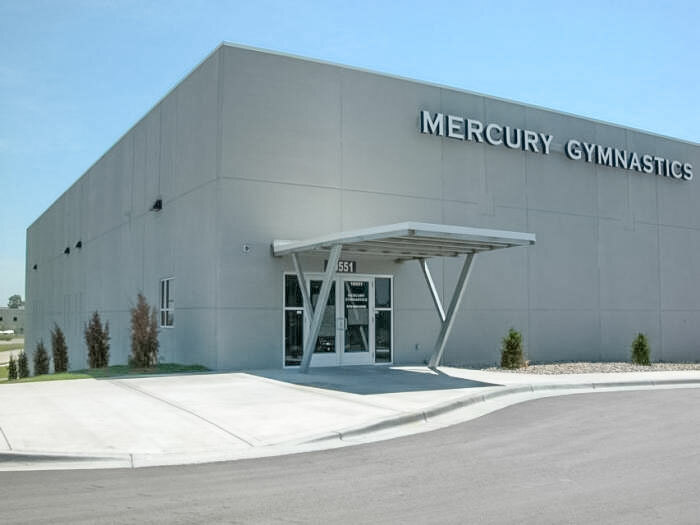 This 24,000 square foot building was designed and built specifically to be the home of Mercury Gymnastics. A 4,000 square foot mezzanine level with concessions, classroom/partyrooms, restrooms and children’s play area allows spectators an unobstructed view of all the apparatus on the gymnastics floor. The 20,000 square foot main floor features a perimeter jogging track, restrooms, changing areas, offices, separate special activity areas and a foam block pit for specialized training. The facility utilizes site-cast concrete panels with roof joists clear-spanning 126 feet for unobstructed views and maximum flexibility for apparatus layouts.